That brings us to patientce. Something that that I think both you and I are are really fantastic at – really patient. No? No. And I will tell you honestly and truly – I did not get good at this until I had a child and then it was like oh, okay, I have to be better at this. So that is honestly what forced me into becoming more patient, just overall. See, I have teenagers so my patience is… I used it all up years ago. No, but it’s look it’s it’s it’s a good point. And when I was first getting started in being a manager, let alone an owner patience was not something that was easy for me. And I know that back then I had a much shorter fuse, if you will. I mean, I was never a yeller and a screamer but I you know, I got I got frustrated and and everybody knew it very quickly. And you know, one of the things that that I have worked on consciously over the years is to, you know, not dumb down my expectations but realize that not everybody has that same level of skill and experience that I do. So it’s going to take some people longer to do something, longer to figure something out. And and I think all of that goes into developing that patience to be better because it makes you a better manager. It makes you better with your client relationships because you got to have patience with clients too, it’s not just employees. And can I manage five new clients a month? With that I’d say, you need some time too. I mean, you don’t need a year, but you probably need a few weeks. I’m not either. It sounded good, keep it up. The ball bounces around, something good probably happens at some point in that game, you know, whatever. Anyway, so you get the point. Be patient. Can I just say that I think most agencies are absolutely horrible at internal communications. I would agree with that. Most people. I would say most people. 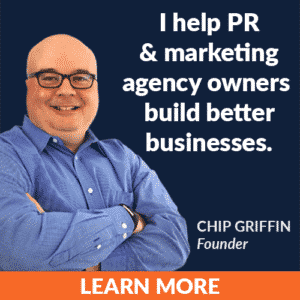 I mean – most most people, but I think for for whatever reason, and I think, you know, part of it comes from the way sort of most agencies develop over time, but it – internal communications is a real weakness and the larger you get the more profound that becomes. So I think that’s something that there needs to be more focus on in agencies to make sure that they are figuring out what to communicate, when to communicate, how to communicate, because it – the culture in an agency can fall apart so quickly, if, you know, there’s sort of negative attitudes and most of those come about because people aren’t communicating effectively. So, so it’s something really, really every manager, every owner needs to be working on constantly. Yeah, and it is something you need to work on constantly, constantly, constantly, and get the professional development help if you need it. And and then of course, you know, as you’re, you know, developing these interpersonal skills, you’ll have to negotiate with each other a little bit. And that’s your next skill, negotiation. I have never, ever in the 14 years that I have owned this agency had a woman negotiate her job with us ever. Men always do always, always always, they always negotiate. Women, never. And and it’s a gross generalization, but in my experience in my agency, not one woman we have hired has negotiated. Not one. Hm. That’s an interesting observation. I mean, I have to say, from my own experience, I’ve had a number of women negotiate with me. Maybe I just looked like a softy. Maybe easy target. I don’t know. But, you know, but but it is. I mean, certainly that’s something that most of the research suggests right? Is that is that that that is you know, much more common than not and you know, certainly I think you know, that’s something that female employees need to work on, female owners as well. But males too. I mean that you know, I mean, I I think that there are…People leave a lot of money and other opportunities on the table because they’re not willing to negotiate. Yep. Don’t want to rock the boat or whatever it happens to be. Yeah, but at the same time, you know, one of the fine arts is figuring out what to negotiate and what not to, right, because I’ve also seen, you know, whether it’s in business or employment or other things where people negotiate over the dumbest stuff. And, and so, you know, I think, you know, as the important as developing the actual skill to negotiate is to figure out what to negotiate because if you, you can, the other way you can leave money on the table is by negotiating hard for something that’s pointless, winning that pointless argument, but then not getting what, you know, would really be beneficial. It’s like the battle versus the war. Yeah. And I’ve had that happen two or three times in my career each time I’ve said bye, bye. In one case, the poor guy was just shocked. He had he, he thought I would counter or something. I’m like, No, you just walked in and basically threatened me. Yeah. So buh-bye, that’s not how we do things here. Yeah. And and so, you know, again, that comes down to strategy, right? He didn’t have a good strategy coming into it. And the final thing I would say on negotiation, is it you know, you’re in your strongest position as negotiator when you’re willing to walk away, right. And so, so that’s, you know, that’s true of a job offer. It’s true of potential client relationship. Yep. So if you’re not willing to walk away, then you have to realize that you’re in a weaker negotiating position. And so those may be the times where you don’t want to push as hard. But if you’re willing to walk away, you can often get a whole lot more. Yeah, but but you got, but the idea that this isn’t going to happen, whether it’s a deal with a client or a job offer, or whatever. Murphy and his law, that’s how it works. And you know, I think everything that we’ve been talking about is all rooted in your final habit, skill, whatever that you address in that podcast. So why don’t we talk about that one, it’s learning. Which, hopefully, people are doing from listening to this podcast, hopefully you folks have learned something. And I think we are both really big advocates of professional development in general. But you know, one of the things I always say is, Michael Jordan had a coach, one of the best basketball players ever in history also had arguably one of the best coaches in history ever. But everybody who is hugely successful has somebody or something that has helped them along the way. And I think what we tend to do is, well, you know, I’ve got the family, and I’ve got the house and I’ve got, you know, all these responsibilities, and I’ve got to get to work. I’m like, I have all this stuff, I don’t have time for me. And that’s a really big mistake. Because, especially today, as things evolve and change as quickly as they do, we have to keep up. Because if we’re not keeping up, we’re going to be extinct. And you don’t want that to happen. 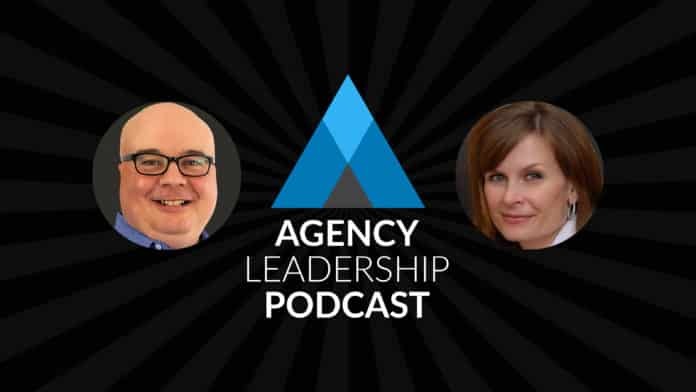 So when you think about the types of things that you should be doing as an agency owner, not just from a business perspective, but how you might evolve or learn new things, so that you can bring it into the agency to serve better service clients, these are the kinds of things that you should be responsible for. Yeah, and that’s exactly right. I mean, there’s so much stuff out there. You can read books, you can take online courses, you can go back to school – I mean there’s a lot of stuff you can do today. 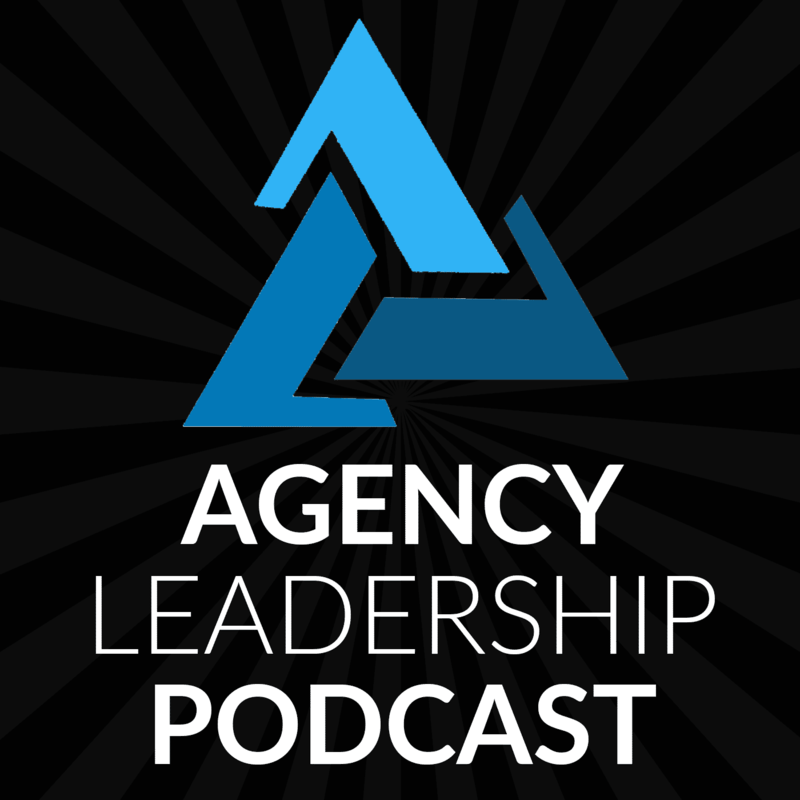 And next, yes, as you as you been listening to the Agency Leadership podcast. Oh, this will be the end of the second episode now, so it would have been last week and this week. Now now I’m all turned around and confused, but you know, as you all are listening you realize just how real this podcast is, dear listener. We just kind of wing it, we go with the flow, and we share what’s on our mind for better or for worse, but hopefully this has been for the better and we appreciate you taking the time to listen, go forth and learn. And with that, I’m Chip Griffin.